What’s your bike riding history? I started riding bikes at 15 when a couple of friends got me into it but this was only at a basic level doing mainly XC and a bit of dirt jumping. Then they got into cars and I stuck with bikes doing my first XC race when I was 16. My first downhill race was a Pedal Hounds short DH race at Longmoor Army Camp. I’ve been coaching now for 9 years. This started as an Outdoor Instructor course at a college where we taught the normal syllabus ‘kayak, climbing etc’. I managed for the qualification to be able to teach Mountain Biking for the assessment instead; thankfully my course instructor was very supportive. Then I was based out in Bavaria, Germany for three years working at a Adventure Training Centre where I must have coached the best part of 2,000 of The Armed Forces so I saw very quickly what worked at what didn’t. Where do you like riding? Is there anywhere you have not ridden that you really want to go to? Love riding the normal French Alps as the variety of riding is awesome. I also ride all around the UK, however I would love to go out to Whistler and it’s got to be on the radar soon. I’m off to New Zealand riding in a couple of weeks so really looking forward to that. Can you give me a bit of an update on your last season racing and where you are now? In 2013 I had a pretty good years racing in Expert/Elite achieving 27 podiums of which 14 were wins. 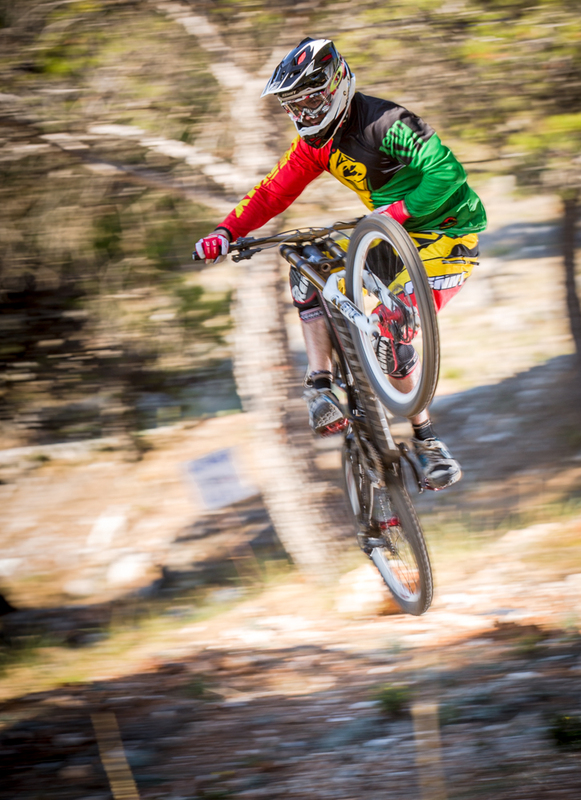 Really looking forward to 2014 racing with the big boys and maybe doing a few World Cups! What were your highlights from racing last year? Highlights of 2013 include 3rd in the English Championships, winning the UK Bikepark series overall and also the Woodland Riders Series overall. Came 2nd at the Aston Hill races on both days in Expert/ Elite and winning hardtail on both days. I was done in after that weekend and told myself I’m not doing the two categories again, but we will see. As far as Nationals last year I was a bit unlucky, always having a slight mistake that cost me – including the first National where I got 6th. Coaching went well last year. On top of all the individuals and groups I coached a few schools as well, which was great fun. Generally the majority of people want coaching at weekends which is obviously quite hard fitting them in around my race diary but we always seem to manage. 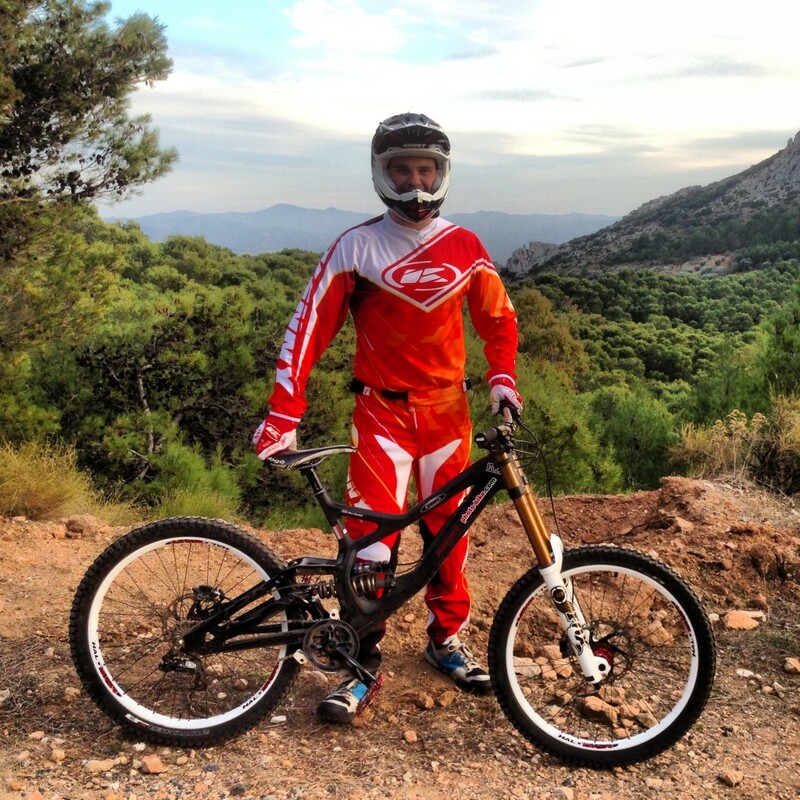 There’s no typical client; I have coached XC, downhill and free riders which all have different needs. I also run MTB Instructor courses where I can qualify the client with a level 1/2 Mountain Bike Instructor Award. Any highlights from your coaching sessions last year? It’s always a highlight or a buzz just seeing someone I coach improve, whether this be attacking a jump they have always been scared of or hitting a corner faster than they have hit before. I have coached a few riders that have gone on to do really well. There’s a little Juvenile called Jack Miller who did a few sessions with me and then was never off the podium at regionals and nationals. Recently I have started coaching a girl called Rachel Gurney who’s just got into racing and has some real potential to do well. As far as name dropping I’ve had Elite Downhill Racer Harry Molloy and World Dirtjump superstar Grant ‘Chopper’ Fielder both come to me for MTB Instructor Courses. Is there anything you think sets you apart from all the other guys out there offering training? I have come from a Royal Marine Commando background coaching a number of people which enabled me to see first hand what worked and what didn’t. I have coached all kinds ranging from beginner all the way through to Elite level riders, so I’m pretty confident in what I teach works. Also if it’s fine tuning or training that the client wants to know about I have first hand experience in what it takes to do well, with qualifications across the board to include personal training, strength and conditioning. So if people want some coaching, how much it is going to cost? Roughly about £30 per hour but this will vary. I feel this is highly competitive for what you get. Does this change for groups or individuals? Yes it’s cheaper as a group charging £80 each but this would be for an unlimited time limit that generally lasts up to 4 hours as the client gets tired. Where do you offer training? Do people have to come to you? I can run training all across the country but generally do it down south at UK Bikepark in Dorset but other venues can be arranged. I have also done a few sessions at Forest of Dean and Tavistock. Is there anything else included on the courses? We use video feedback on the course and on some specific courses at UK Bikepark the uplift is included in the price so we will do a skills session in the morning and get the miles in utilizing the uplift in the afternoon.